I have been married for 5 months. I met my wife 6 years ago at a company party. I liked her very much from the first moment I saw her. She didn't like me as much. She said I was not that handsome, but then when she got to know me, she thought I was a really kind person. I asked her to help me find a present for a friend, and when we had picked the present I gave it to her. After that I asked her out with me on the International Womens Day, because I thought she wouldn't say no after getting a nice present. In Vietnam on International Womens Day men usually take a woman out. We were a couple for five and a half years before getting married. One month after we got married, my wife got a lung disease. She needs 8 months of treatment to get better. She lives with my parents on their farm and just tries to get better. I see her usually once a month. 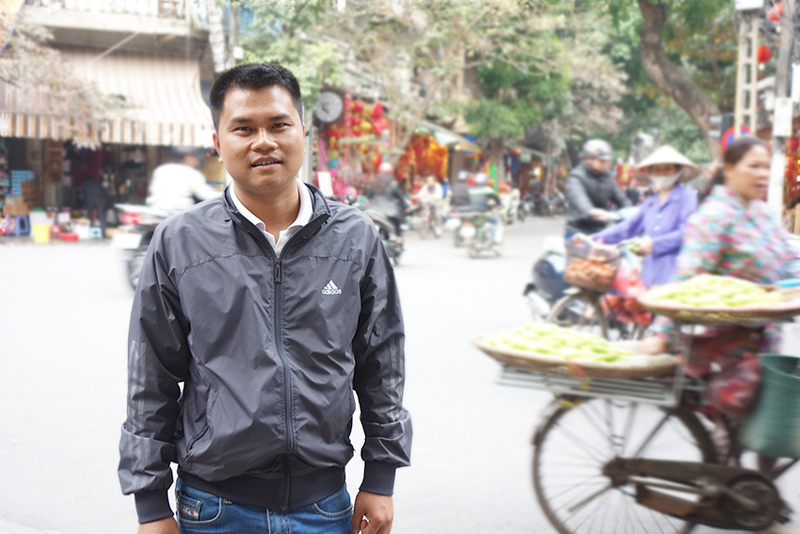 I work now as a tour guide in Hanoi and Ha Long Bay, and together with my 3 other brothers we help our parents financially. My fourth brother is a drug addict, so he and his wife is more of a burden to my parents. I think we owe my parents all our help, because they brought us up and paid for our whole life. I studied marketing in university, and my parents and my two brothers paid for everything. I like my current job as a tour guide, because I want to improve my English. That is why I started the job. In the future I want to work for an international company with marketing, where I can speak English. 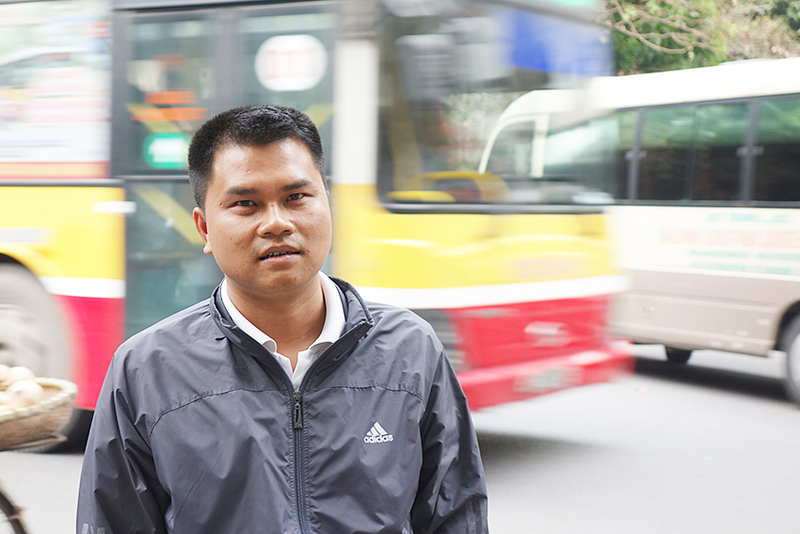 Vietnamese companies do not pay so well. I want to have a good job so that we can have children when my wife gets better, maybe in a year or two, and live in Hanoi. I want to be able to support my whole family. What's the biggest dream you have in life? I want to work in an international company and English environment. And I want to build a good house for me and my wife, and hopefully our children. Mielenkiintoinen juttutyyppi - pitäisi joskus harkita itsekin, siis myös matkoilla. Kiinnostuin jutustasi ihan erityisesti siksi, että käyn juuri nyt itse lehtikirjoituskurssia ja sen harjoitustyönä tein juuri viime viikolla elämäni ensimmäisen henkilöhaastattelun (jonka myös julkaisin blogissani).